Die Weisekiezinitiative grüßt die Menschen in den Lagern und alle die sich heute hier mit ihnen solidarisieren. 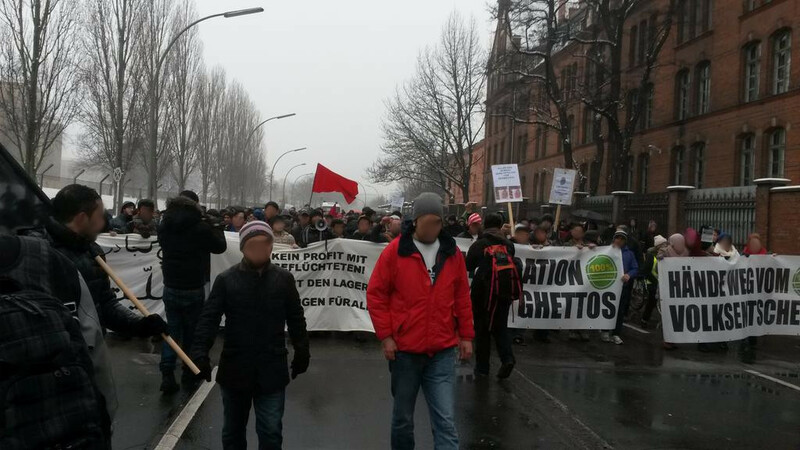 Wir sind hier, um gegen den Ausbau der Lager für Menschen, die zu Geflüchteten gemacht werden, im ehemaligen Tempelhofer Flughafen und die Kippung des Tempelhofer-Feld-Gesetztes zu demonstrieren, wir demonstrieren gegen die rassistische Politik der Segregation und Isolation, dagegen dass überhaupt irgendjemand in solchen Lagern leben muss und dagegen, dass damit auch noch Profit gemacht wird! Wir fordern Wohnraum für alle unabhängig von Kategorisierungen nach Nationalität, Einkommen, Religion und Sexualität! We are here because you destroyed our lands and now we demand that Solidarity must be political! Women in the Lager, women in any accomodation for refugees unite! 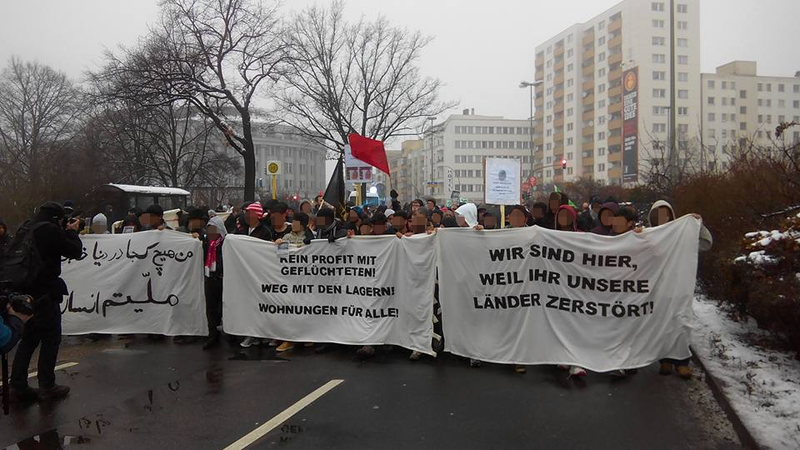 Feminists join the struggle for the rights of refugee women in Germany! We must create a stronger alliance to fight the racist laws, which don‘t grant asylum to women and instead sends them to crowded accomodations for indefinite time, with no right for privacy, for asylum, for any kind of protection. Hello, dear fellow campaigners! Today I won‘t talk myself as I am afraid that the employees or securities of the Tempelhofer Camp recognize me and don‘t let me in again. This happened to other refugees before. Some gave interviews to TV stations and afterwards weren‘t allowed to enter the camp. To protest is a dangerous matter for us.Danger, in fact, was always a part of my life. I came from a country, devastated because of the war. In Afghanistan, there is still war. First the Taliban and now also Daesh is present in my country. Just a few words about my arrival here. Du browst gerade in den Weise-Kiez-Initiative Weblog-Archiven nach dem Monat Januar 2016.